Today, the internet is flooded with Twin Flame information from so-called “experts” in the field. I’d like to ask some basic questions first to define the validity of this information and the people espousing it. How does someone become an expert in a field where there is almost no information? Where does the original information come from? Solid and grounded information must come from experimentation and real-world data. The realm of Twin Flames is so new, there is almost no information available from anyone, and yet why is there so much information out there? Who is the great Twin Flame teacher from where all of this information has become available on the internet and in books? Are channels where we get all this information? How can you trust channeled information if it has not been tested again and again and proven 100% accurate? Without scientific data to back up the information, how can you know it is real and grounded? For many people, grounded information does not matter. As long as it feels good, sounds good, and looks good, they’ll incorporate it into their minds and try to share it with others. This is largely what has been happening in the Twin Flame community for years now. Channeled information rehashed, rhetoric and nonsense logicked-up from unsound foundation and misaligned thought, and then rehashed, added to, and trans-morphed again as it passes from so called Twin Flame expert to expert. Is this the sort of information you would like leading you through your grand journey of harmonious Twin Flame Union? Me either. But in a world where the idea of Twin Flames is so new, who could possibly gather scientific data and evidence of it? How can we know for certain if it is real, if it is possible, and if I can do it? Who would go to such lengths to prove a spiritual concept to be real? Shaleia and I have and we created a detailed body of work to share this information with you. You may notice more and more that people are rehashing from us. This is because we are as of yet the nearly only true Twin Flame teachers on the planet. 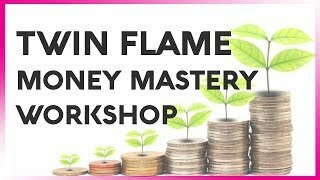 We don’t care to be, and in fact we’ve trained FABIAN at http://twinflamesmastery.com/ to tap into the same Source for his journey and teach as well. We notice the experiences we are having and we dissect them scientifically. We channel Divine Source using a combination of muscle testing and the feeling in our hearts, supplemented by basic qualifying questions to ascertain clarity and truth and by paying attention to the answers we receive. We then dissect the answers and information we receive, and sit with them indefinitely to ensure their accuracy is maintained, and we continue to test them. We live our lives based upon the information we have discovered. We use it in our Twin Flame Union, relationships, finances, health, daily life, etc. We share the grounded information with others through our work, and wait to see if it is still true for them and if it gets actual results. We also use this opportunity to determine why something did or did not happen and we discuss it. You see, we arrive at the information we share through a very thorough, grounded, and scientific process. If this information were a scientific discovery, we would be in the stage of clinical trials to determine the widespread validity, use, safety, and value of it. We already have determined these factors, to be honest with you, we are simply fleshing out any other minor details which could possibly interfere with the widespread dissemination of our work into the consciousness of the planet for the benefit of all humanity. This work is a result of painstaking efforts to birth a real body of leading-edge information which is clear, useful, and timeless for this planet. It’s no wonder more and more people are directly trying to copy what we do and use it for themselves. If you’d like to see the body of our work, we have condensed and presented in an easy and usable format our book, “Twin Flames: Finding Your Ultimate Lover,” as well as our E-courses, Twin Flames: Dreams Coming True available HERE and Twin Flames: Romance Attraction available HERE. Receive Free & Powerful Twin Flame Resources every week. Our updates are designed to provide value and are hand-crafted with love and care to help you to reunite with your Beloved. Can I Have My Twin Flame Union In This Lifetime?